Brrr! My Santa Claus coffee mug stares at me across my desk: a cold, lifeless stare out of corner of his eye. I fear his stare is doing more than just draping icicles off my heart. I fear he is actually controlling the weather. His stare is the North Pole’s version of the Eye of Sauron. 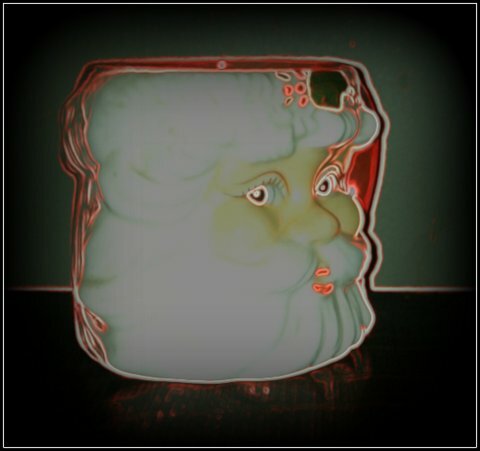 It is the Eye of Santa and instead of spreading darkness over the land he spreads holiday cold. He is a talisman of the never ending winter and he must be stopped. But one does not simply walk into the Polar Vortex. One does not simply banish winter with wishes. I must carry the mug to some place warm and destroy it. I must carry him into the sauna. We will sit across from each other and we will sweat. Then we will sweat some more. We will sweat until one of us breaks. But he has evil, cold spies everywhere. That will stop at nothing to save the Eye of Santa from destruction. The subzero freezing of the car. The blistering wind chill on my face. The compacted snow and ice rink like roads. The darkness. These all must be braved. I need a fellowship to win this battle. A shot of rum. A fur hat. Oversized mittens. Wool long underwear. I may not make it back. If I fail you must prepare for the never ending winter to go on. You must keep fighting. But whatever you do, do not go to Moria. You know what they dug up down in the deep. However warm it may be, it is an evil you don’t want to invoke: Global Warming. Be warned. Be safe. This entry was posted in Entertainment and tagged cold, Eye of Sauron, fellowship, global warming, Humor, moria, polar vortex, santa, sauna, sauron, talisman, winter. Bookmark the permalink.